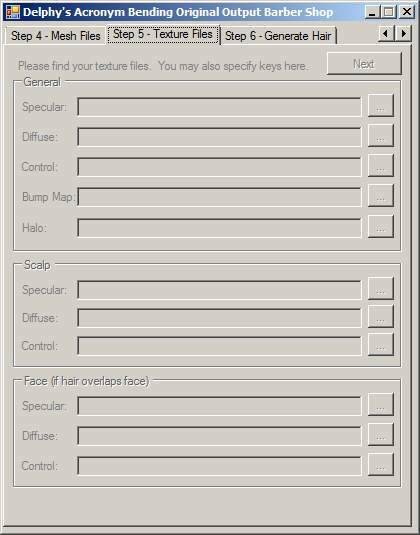 This program allows you to create non-replacement custom hair meshes for The Sims 3. It generates entirely new hair packages that can be placed in game, and contains all possible linkages and correct file assignments - no "minimum effort" involved here! This tool has been tested extensively and known to work well on both Windows XP and Vista x32. I make absolutely no guarantees this works on Vista x64. It was used in the production of all of HystericalParoxysm's hair meshes uploaded to MTS, so the end results have been tested by many people. What does this program NOT do? This does not mesh, texture, make the geometry or otherwise create the original hair meshes and texture files you will use. All this program does is package up the various mesh lods and textures into a format usable by the game. How do I install this? How do I get it to run? This program requires no installation. Just unzip and run. If you get a System.Core 3.5 error when saving the package you need to install or reinstall .NET framework 3.5!. 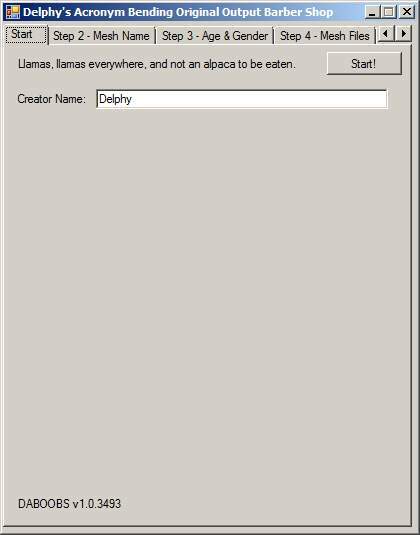 The program is setup like a wizard. 6 steps to hair meshing greatness! Step 4: Mesh files - hairs have 4 LOD files. You should be using Q-Mesh for making the meshes. Step 5: Texture files - 11 of them. Photoshop or Gimp required. There is also the ability to Load and Save projects, which saves to a simple text file. So if you get halfway through and find you need to work on your control map, or reboot, just save the project and reload once you are ready. This is especially useful if you want to use it in conjunction with QADPE to link to other resources. If you are confused about which textures to modify or how they work, I would advice getting the CTU program located here and using the "Extract Meshes" and "Extract Textures" options to extract the meshes and textures so you can see how they are built. Please note: I am NOT a hair mesher. I am NOT a hair texturer. I will NOT help you in making your hair meshes! Keep posts to the tool please. Note #2: I do NOT take requests. Any posts like "Can you make such-and-such hair?" will be summarily deleted. Any posts asking to convert hair will be deleted. If you have never touched hair meshing before, or don't know how to mesh... move along please. Please note that this is a one way process - once a hair package has been created using this tool, to modify it, you must use another tool (CTU, S3PE, etc). Also note if you get System.Core 3.5 errors when saving you must install .NET framework 3.5. If you get another error, please post the full error, but make sure to use [ spoiler ] tags to make sure you don't make the thread long. - Probably some other bugfixes. 1595 people have said thanks to Tashiketh for this download.